Whether you’re trying to lose weight or make better food choices for your health, figuring out what to eat can be a struggle. Alexis Demetroulakos in Nutley, New Jersey, is a Certified Holistic Health Coach who wants to teach you about nutrition and a healthy lifestyle and how you can make better food choices. To learn more about Alexis’ health plan program, call or schedule a consultation online. For many, diet is a word that signifies restriction and deprivation. But Alexis wants you to rethink what the word “diet” and focus on an overall healthy lifestyle. A healthy lifestyle isn’t restrictive or filled with foods you don’t like, but one you can follow for life. 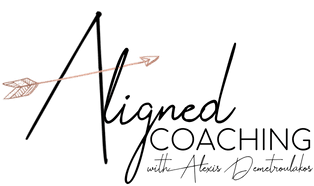 Alexis went from a tired, puffy 14-hour-a-day magazine executive to an energized Certified Holistic Health Coach who makes her own hours by learning a healthy lifestyle, and she wants to share all that she’s learned with you. Alexis’ health plan includes real food from all the food groups, including fruits, vegetables, whole grains, nutrient-rich proteins, and healthy fats. To help make things easier for you, Alexis provides you with a meal plan, meal schedule, shopping list, and recipes. Alexis knows not one health plan works for all and works one-on-one with you to create an individualized food plan based on your goals and lifestyle. Alexis has transformed hundreds of people who have followed her system. They’ve not only lost weight, but have improved health, mood, energy, and mental clarity. To ensure you’re getting all the nutrients necessary to support a healthy weight, Alexis may suggest you incorporate various supplements into your plan. These supplements not only keep your body healthy, but curb cravings, boost energy, and help your body burn fat instead of muscle. These products are non-GMO, and most are both gluten and soy-free. What if I struggle following a healthy lifestyle? When you join Alexis’ Wellness Warrior Team, she’s with you for life. She knows how hard it is to balance work, life, and health, and she provides you with all the tools you need to stay on track. Her plan includes support groups, motivational meetings, and constant guidance. Alexis is your accountability partner. She checks in on you, encourages you, and can be a shoulder when you need one. Alexis’ system transformed her life in so many ways, and she loves nothing more than paying it forward. For help with your diet that includes the support and tools you need, call Alexis Demetroulakos. Or book a consultation using the online booking button.